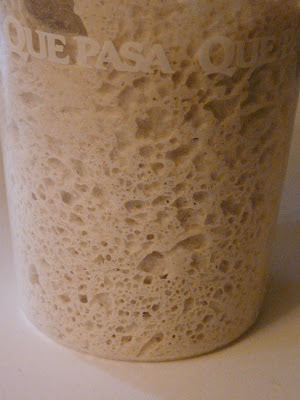 I started Sunday night by using some of my sourdough "mother" to make a Levain and then I fed the remaining starter. Both were left on the counter over night to develop. 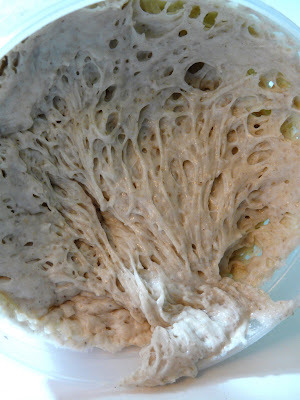 And this is what the Levain looked liked. It started out as a tight little ball of kneaded dough about the size of a medium size orange. I used the Levain in a dough made with 9 cups of flour. I put it in the fridge for a slow cold rise. I'll use it later today or sometime tomorrow to make a few loaves of bread. 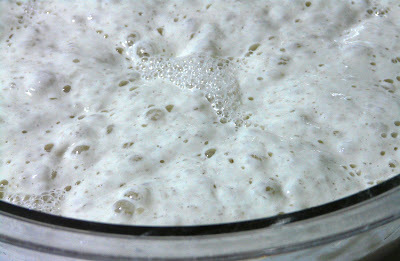 The biga was used to make a batch of Bagel dough this morning. I'll post pictures later of the finished product. I absolutely love your blog. I am going through a total love of bread. 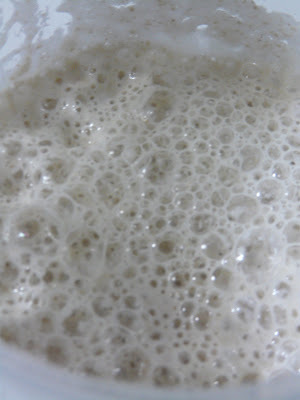 I look at your photos and have to ask how you made your "mother" starter. I want to start one. This process is just amazing. I have been online for days looking at how, but you look like the pro to ask. Food Is Love, what a great name. Love that sentiment. I'm not sure how long ago you posted this question so I apologize for not answering you sooner. 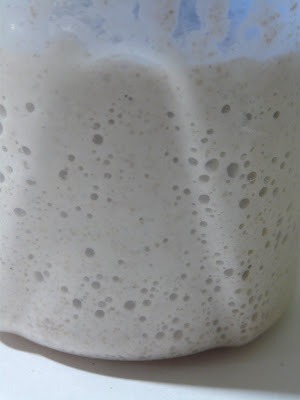 You can find a link to Amy's Bread method for developing a "Mother" on this blog post. If you have any questions please email me. I'm far from a pro,but I'll be happy to try and answer any questions you may have.